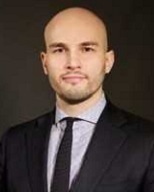 Alexander Alden is director for defense policy & strategy at the National Security Council (NSC). Previously, he served as special assistant in the Office of the Under Secretary of Defense for Policy (OSDP). Prior to his government service, Alden was senior fellow for U.S. Strategy at the Center for the National Interest (CFTNI) and project director at the Center for Naval Analyses (CNA), where his research focused on national security affairs. 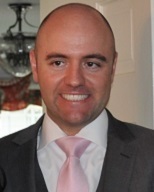 In the private sector, Alden was manager of analysis at the Avascent Group, where he advised defense industry firms on global military developments. He has also taught numerous courses on international security and strategic affairs at Johns Hopkins University. Alden holds a B.A. in political science and philosophy from Southern Illinois University and an M.A. in political science from Johns Hopkins University. David Baker is a foreign service officer currently serving in Latin America. Previously, he was a political-military affairs adviser to the Special Representative to Afghanistan and Pakistan. He also served as special assistant to the Chairman of the Joint Chiefs of Staff and to the Office of the U.S. Trade Representative. Prior to joining the State Department, Mr. Baker worked at the House Committee on Armed Services and served as an active duty army officer in Afghanistan and Iraq. He holds a B.A. in government from Georgetown University and an MLitt in political theory from the University of St. Andrews in Scotland. 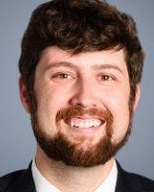 Gil Barndollar is the director of Middle East Studies at the Center for the National Interest. From 2009 to 2016 he served as a U.S. Marine infantry officer, deploying twice to Afghanistan and to the Republic of Georgia, Guantanamo Bay, and the Persian Gulf. His work has appeared in USA Today, The American Conservative, US Naval Institute’s Proceedings, the Journal of Military Operations, and the Marine Corps Gazette. He holds an AB in history from Bowdoin College and MPhil and PhD degrees in history from the University of Cambridge, where he was a Keasbey Scholar. 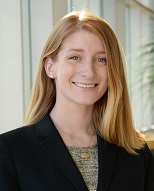 Rebecca Burgess is the program manager for the Program on American Citizenship at the American Enterprise Institute (AEI), which produces original research on civic education, the health of America’s public institutions, and the principles of American democracy. She focuses on veterans and their role in civil society and politics. Before coming to AEI, Ms. Burgess was the director of programs for external affairs at Hillsdale College, where she was also deputy editor of Imprimis. She has taught courses on American political theory and constitutional principles at Hillsdale College and the University of Dallas, where she also served as the director of student affairs for several years. Her work has appeared in The Wall Street Journal, The American Interest, Newsweek, and The Weekly Standard, among others. Ms. Burgess holds degrees in literature and politics from the University of Dallas. 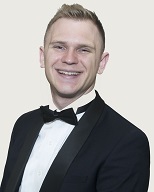 John A. Burtka, IV is the executive director of The American Conservative. Previously, he worked in development for the Intercollegiate Studies Institute, participated in academic fellowships at Washington College and the Trinity Forum Academy, and helped to launch two businesses, Cherry Creek Winery and Grand River Brewery, in Michigan. His writings have been featured in the Washington Post, First Things, Touchstone, and The Intercollegiate Review. He's an alumnus of Hillsdale College and the Faculté Jean Calvin in Aix-en-Provence, France. 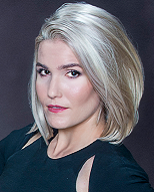 Kathryn Ciano is senior counsel at Uber Technologies, where she is Uber's Regulatory lead for the East Coast of the US. Prior to Uber, she spent several years at the data firm i360, LLC, where she served as general counsel. Before this, Kat worked in weapons law at a boutique firm in DC. She has also spent time at the Institute for Justice and at Fox Business News. Kat attended undergrad and business school at the University of Florida. She went on to earn her J.D. from the George Mason University School of Law, now the Antonin Scalia Law School. Theodore Cooperstein serves as the general counsel for the U.S. Office of Personnel Management (OPM), the government-wide administrative policy successor agency to the original Civil Service Commission. Prior to OPM, he was a career federal prosecutor for more than ten years as an assistant United States attorney in the Southern District of Florida, prosecuting federal felonies, including white collar and national security crimes, with over twenty trials before federal juries. Before joining the U.S. Attorney’s Office, he served in Washington, DC, as counsel to the deputy attorney general in the Department of Justice from 2003 through 2006. His past appointments include assistant general counsel in the Federal Bureau of Investigation, and judicial law clerk to the Hon. Morris “Buzz” Arnold, who is now senior circuit judge on the U.S. Court of Appeals for the Eighth Circuit. Mr. Cooperstein started as a civil and commercial business litigator in New York City and Washington, DC; he was solo practitioner for three years in Washington, litigating federal civil rights and employment, criminal appeals, and amicus practice before the U.S. Supreme Court. 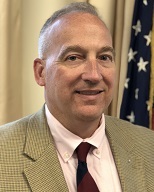 In addition, he has served over twenty-eight years in the U.S. Army Reserve as a military intelligence officer, retiring with the rank of lieutenant colonel. Andrew Eilts is an experienced policy professional who has advised multinational corporations, conservative philanthropists, asset managers, and trade associations. He most recently served as policy director for a network of business leaders who actively engaged in policy advocacy and promotion. 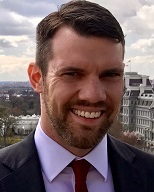 Previously, Andrew worked at US Policy Metrics, an economic consulting firm, and at General Electric (GE) in global public policy and government relations. After working for GE in both Washington and London, Andrew served with the Romney for President policy team in Boston, working on both economic and foreign policy issues during the 2012 presidential campaign. An Iowa native, Andrew graduated from the George Washington University with a bachelor’s degree in international affairs and concentrations in International Economics and Conflict and Security. He also earned a Master of Science in International Political Economy from the London School of Economics (LSE). 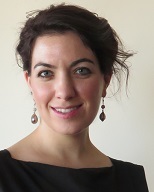 Inez Feltscher Stepman is a senior policy analyst in education at the Independent Women’s Forum (IWF). Before joining IWF, she served as director of education and workforce development at the American Legislative Exchange Council. She is also a senior contributor to The Federalist and an editor of BRIGHT, a daily women’s newsletter. Inez holds a B.A. in philosophy from the University of California, San Diego, and a J.D. from the University of Virginia. 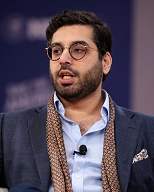 Raheem Kassam is a political opinion writer and author of two best-selling books. Formerly the chief of staff to Brexit leader Nigel Farage, as well as the outgoing editor-in-chief of Breitbart London, he currently serves on the academic advisory board for the Institute of Social Sciences, Economics, and Politics in Lyon, France. Kassam is a Senior Distinguished Fellow at the Gatestone Institute, as well as a Writing Fellow at the Middle East Forum. He frequently appears on U.S. and UK television and radio, and continues to advise politicians and political parties across the Western world. 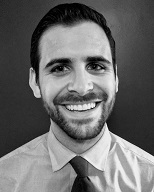 Luke M. Perez is a Postdoctoral Fellow in Political Thought and Constitutionalism at the Kinder Institute on Constitutional Democracy at the University of Missouri. His scholarly research focuses on religion, political theory, and American national security. He is currently writing a book on the role of international religious freedom on Cold War grand strategy. He has published articles in RealClearDefense and Providence. 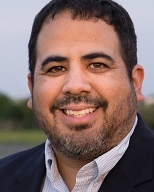 Dr. Perez was a graduate fellow at the Clements Center for National Security and the Center for Politics and Governance, both at the University of Texas at Austin, and a 2016-2017 Graduate Fellow with the Donald Rumsfeld Foundation. 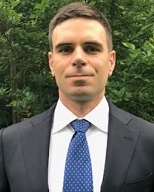 A former staff member for the Jack Miller Center in Philadelphia, he is also a 12 year veteran in the Air National Guard, where he served as an avionics maintainer. A 4th generation native of California, Dr. Perez earned his B.A. at The Ohio State University, his M.A. at Villanova, and his Ph.D. at the University of Texas. Mary E. Salvi is the assistant staff secretary to the President of the United States. 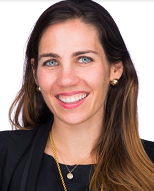 Ms. Salvi previously served as policy coordinator to the White House Domestic Policy Council, where she aided in the development, coordination, and management of domestic policies within the Executive Branch. Before continuing her career in the White House, she worked for the 2016 Republican Party Platform Committee for the National Convention and for her family’s small business. Ms. Salvi holds a B.A. in political science from the University of Notre Dame. Jarrett Stepman is a columnist for The Heritage Foundation’s The Daily Signal, where his work focuses on the lessons of American history. He is also the author of a forthcoming book from Regnery Publishing defending American figures of the past now under attack from the left. Prior to joining The Daily Signal, Jarrett worked as an editor and writer at Breitbart News and Human Events. He holds a B.A. in political science from University of California, Davis, and lives in Washington, D.C. with his wife. Alec Torres is a speechwriter for President Donald Trump. He previously served as House Majority Leader Kevin McCarthy’s speechwriter for four years, dabbling on the side in press relations and coalition building with conservative organizations. Prior to that, he was a William F. Buckley Jr. Fellow in Political Journalism at National Review. Mr. Torres holds a B.A. in humanities from Yale University with a concentration in intellectual history. 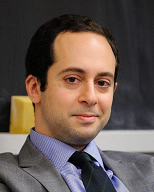 Matthew Tyrmand is deputy director of OpenTheBooks.com, the largest private data repository of public sector spending ever assembled. Mr. Tyrmand is also an active board member of Project Veritas, where he works closely with James O'Keefe in the organization's strategy and management. In addition to his domestic political activity he is also an engaged Polish dual citizen and advises the current Polish government. Mr. Tyrmand appears frequently in Polish mass media commenting on Polish, American, and European political issues and pens a weekly column for one of Poland's top conservative newsweeklies, Do Rzeczy. He has contributed to Breitbart, Forbes, American Thinker, and Big League Politics, The Jerusalem Post, and numerous Polish outlets. Before entering the conservative movement and the world of politics and journalism full time, Mr. Tyrmand spent the years following his graduation from the University of Chicago in the finance industry as an equity trader, analyst, and portfolio manager at some of Wall Street's most well known hedge funds. He holds a B.A. from the University of Chicago.